Here's how the procedure works. 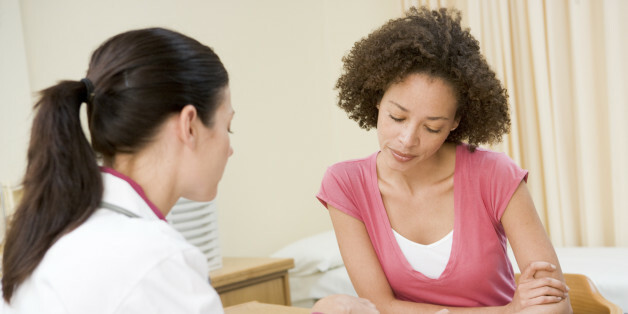 One of the first choices that all patients have to make is where to seek infertility care. It's a critical decision as practice patterns, treatment strategies, and technology used can vary greatly from one practice to another. Getting or staying pregnant is not easy for everyone -- for some, it can take time and money. While you might not be thinking of having kids right now, having a conversation with a physician about fertility while still in your early 30s could provide benefit later on. "We need to look at it in a bigger perspective, rather than focusing on if you get a baby or don’t get a baby." These tiny robots can deliver poor swimmers to an egg, scientists say. I want women to know to just freeze their eggs if they want to. And for younger women, take a minute when you're in your 20's or 30's and just freeze them if you think having kids later in life is important to you. Because life happens - and sometimes things you think will line up, don't. As adults start families later in life, financial needs for childcare, college saving and retirement seem on a tighter collision course than ever before. A cultural phenomenon is growing these days in the world of gamete donation. The voices of the donor-conceived are growing louder and clearer, and the vast majority express that knowing or having known the identity of their donors is better than not knowing. I always knew I should eat and drink healthier, exercise daily and live as stress-free as possible. But I never understood the startling connection between these run-of-the-mill healthy lifestyle recommendations and their dramatic effect on my fertility. If you think you might have a problem with infertility, where do you start? It can all be very overwhelming. There is a wealth of information available, but distinguishing fact from positive rhetoric can be confusing. As a couple moves into not months but often years of expensive, intrusive treatments, a spectrum of severe emotional pitfalls typically emerges. Sadly, my observations pertain almost exclusively to those fortunate enough to have access to quality medical assistance. You've been trying to get pregnant for a year and it's just not happening. It isn't surprising that you may think you are headed straight for IVF since it's the most talked about fertility treatment option. However, your fertility journey will likely begin with tests followed by one of several low tech treatment options. Parenting is complicated; we all know how painful and difficult it can be at times. We all measure ourselves by comparing our situation with what others are doing -- we might tell ourselves, "I'm choosing this job, so it's OK, I am a good mom." My stray-cat radar had heightened to almost hysterical proportions. The reason wasn't lost on me. Even as I breathlessly rescued one more starving kit, I knew that my clanging biological clock played a role. Judith Shulevitz's recent New Republic essay on how later parenthood is "upending American society" claims that delaying kids could lead us down a rabbit hole of genetic decline. The piece gathers much of its energy from new studies suggesting that male sperm quality decays with age. For women it sometimes feels like once we get to a certain age, we are destined to hand over control of our bodies to another being, along with whatever hopes and dreams we had for ourselves.